Pete Michaels - Video Clips! In MGMT's Best Rock Nominated Video "Flash Delirium!" Listen To Pete On Radio! with friends & hosts Dave & Susan Konig. Speak Now. Here's Pete's third appearance. Guess who's turning Five-Oh! ←Click On The Radio To Listen. Speak Now. 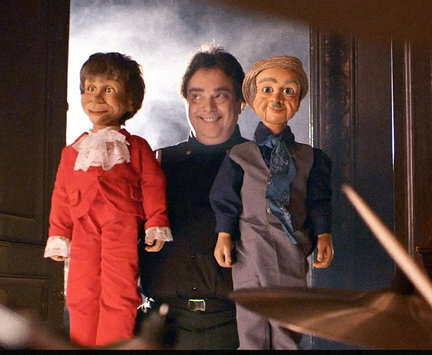 Here's Pete's second appearance where he discusses Ventriloquist Conventions and Show Biz. Speak Now. Here's Pete's first appearance. Bet you didn't know he was a former Altar Boy! Here is Pete's interview on Ventriloquism Central's BlogTalkRadio Show. 30 years of Ventriloquism memories!